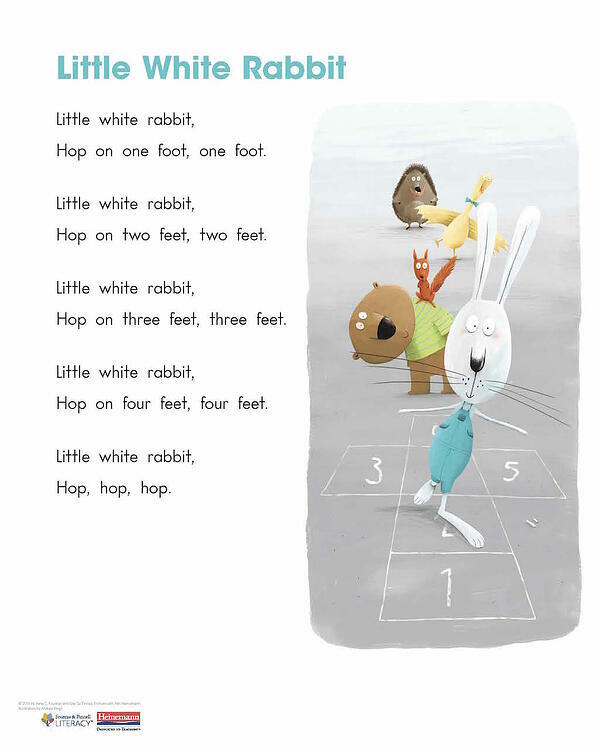 Poetry charts can encourage children to think about how illustrations can support a poem. Try this: After reading a poetry chart poem aloud, invite children to talk about why they think the illustrator chose to draw a particular picture. Then ask them to draw their own pictures about the poem; children may or may not pick the same scene to draw. Have children talk to the class or a partner about which part of the poem they drew and why. Get this poetry chart and more with Words That Sing, Kindergarten: 100 Poetry Charts for Shared Reading. And to celebrate National Poetry Month, Heinemann is offering 40% off the list price of Words That Sing with promo code POEM19 when you order from heinemann.com. * Click below to order now! * Promo code POEM19 valid only on online orders from Heinemann.com. March 22 through April 30, 2019 11:59PM EST. Discounts applied only on in-stock items. eBooks are not eligible. Discount is applied to the list price of each item. Discount applies only to select titles.